Hi friends! Warm, tasty drinks. That is what I’m all about these days! You know I’m a big fan of coffee and also a big fan of hot chocolate, so naturally mochas are high on my list. But a fun little twist for the holiday season? 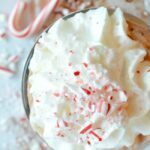 How about an easy Peppermint Mocha recipe?! And let’s focus on the EASY part because that is essential around these parts. This holiday season Kraft is making easy meals and entertaining even easier with amazing savings at your local Target! That’s right, whether or not your a coupon gal, you KNOW you shop at Target and that Kraft items are always on your list, so head on over to print these coupons out! 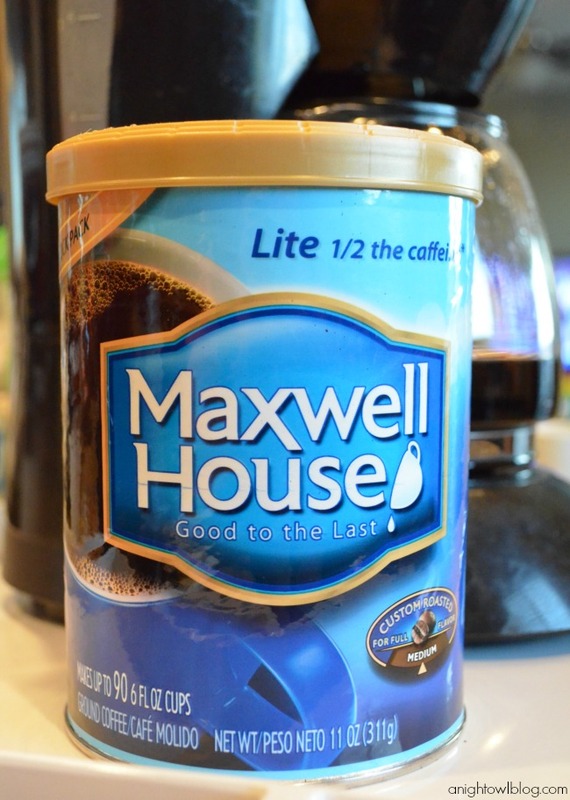 Top on my list of must have Kraft products this holiday season is Maxwell House coffee! 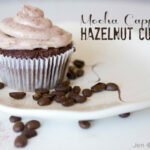 I’m a big fan of their half-caff brew because I have to admit, I’m a nighttime coffee drinker! I like to start and end my day with a cup, so this blend is a perfect pick for me. 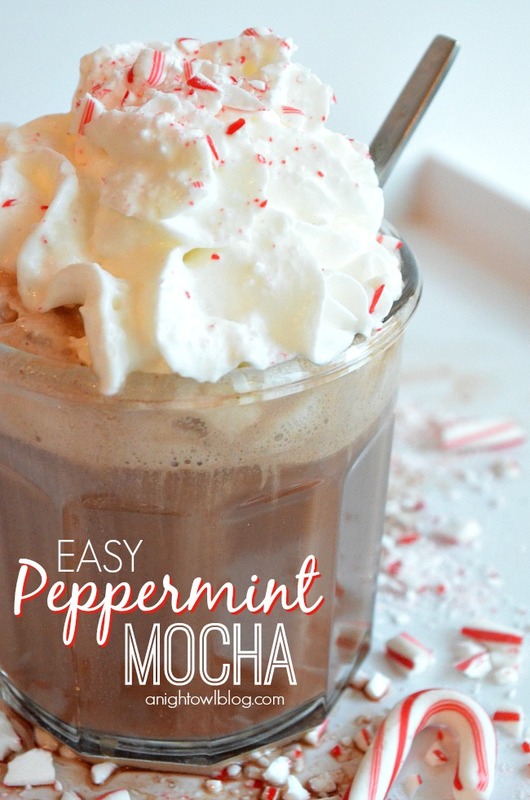 And this is just what I used for our easy Peppermint Mocha recipe today, and what I’ve been making almost every night, so tasty! So want the recipe? 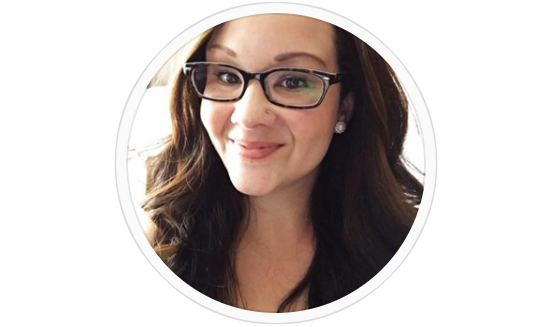 I’m telling you…it’s easy! Brew 8oz of Maxwell House coffee (any blend will do). Add 1 to 1 1/2 tbsp of peppermint syrup (not extract) to the coffee and stir. Adjust based on taste. 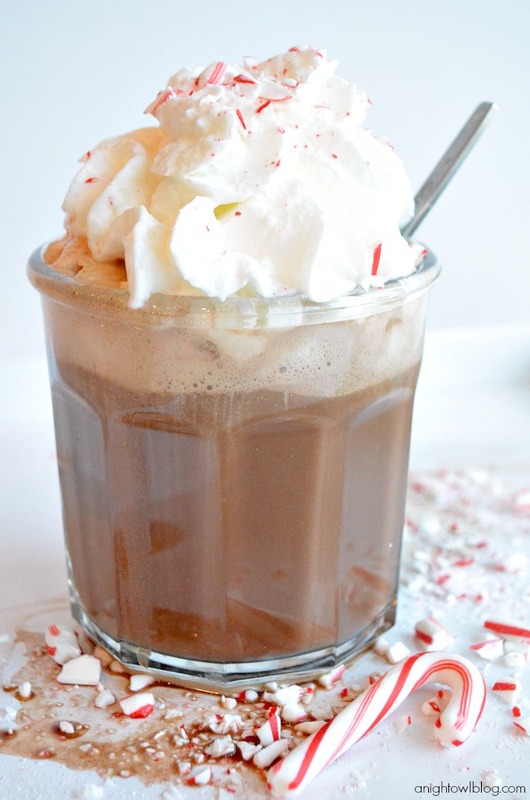 Add a packet of your favorite hot chocolate to the coffee and stir until blended. Add a splash of milk (1 to 2 oz). 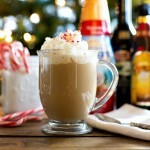 Top with whipped cream and crushed candy canes for garnish and enjoy! 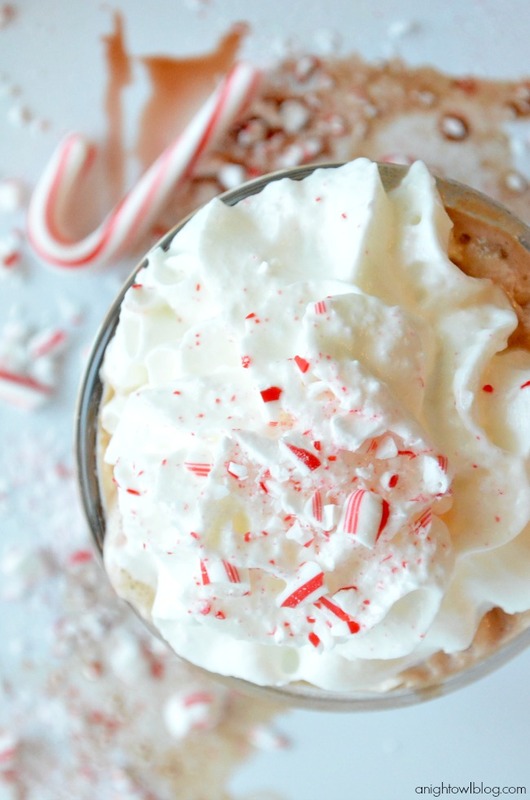 And there you have it, a quick and easy Peppermint Mocha recipe! 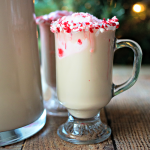 So easy that you really could make it anytime this holiday season, for a quick nightcap, a special weekend treat or even a fun party drink! What do you think? 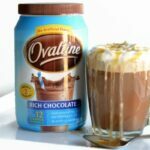 I think if you’re a fan of coffee and chocolate like I am that you need to give this a try!